Sallyanne Atkinson, AO, is a former Lord Mayor of Brisbane, Australian Senior Trade Commissioner to Paris, and former Chair of Queensland Tourism. She has previously been on the Boards of nine public companies…APN News and Media, ABC Learning, Abigroup, Fujitsue Australia Advisory, the Australian Ballet, Binna Burra Mountain Lodge (chair) Caltex, Barclay Mowlem and Tri-Care. Internationally, she has represented Australia to the International Olympic Committee, in major trade and business forums such as the OECD and the International Chamber of Commerce and spoken at conferences in Europe, Asia and the United States. She was the Leader of the Brisbane bid for the Olympics of 1992, a member of the Melbourne and Sydney Olympic bidding committees and was a founding member of the Committee to Organise the Games in 2000. A journalist by training, she worked for The Courier-Mail in 1963-64; the Sydney Telegraph in 1962-63; and the Brisbane Telegraph from 1960 until 1962. 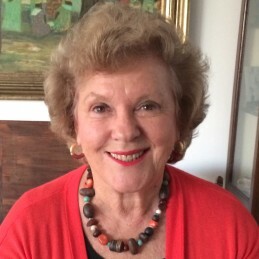 She has written two books on Brisbane including Sallyanne Atkinson’s Brisbane Guide in 1985 in addition to numerous articles for newspapers and magazines.